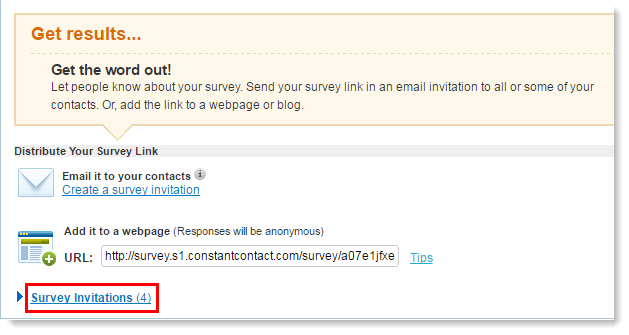 Can we check if surveys bounced, get open rates, I cant even find what list the surveys were sent to. Then click on the name of the invite you want to open. This should show you when it was sent out, as well as which lists it was sent to near the top of the page next to "List Selection". On that page you should also see the open-rate, as well as the other statistics. If you click any of the blue numbers on that page, you'll see a reporting page more similar to what you see in your other emails. You can change your view along the left to instead see who opened it, who clicked a link, which addresses bounced, etc.